Atolm GTK theme + Clarity icon theme is yet another very decent theme combination for your Ubuntu GNOME desktop. Unlike the previous GNOME theme combinations we had featured here before, this one is dedicated to all dark theme fans out there. That is my current desktop running Ubuntu 10.10. The look and feel is a result of Atolm GTK theme and Clarity icon theme combination. And of course you have Docky docks at bottom and on the left side of the desktop. Now lets see how to install these two themes in Ubuntu. How to Install Atolm GTK Theme in Ubuntu Maverick from PPA? Atolm theme requires latest Equinox GTK engine. For that you need to simply copy-paste the following lines into Terminal. Now, install Atolm GTK theme from PPA in your Ubuntu. Done. 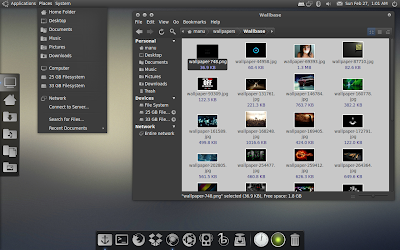 Beautiful dark Atolm GTK theme is successfully installed in your Ubuntu. 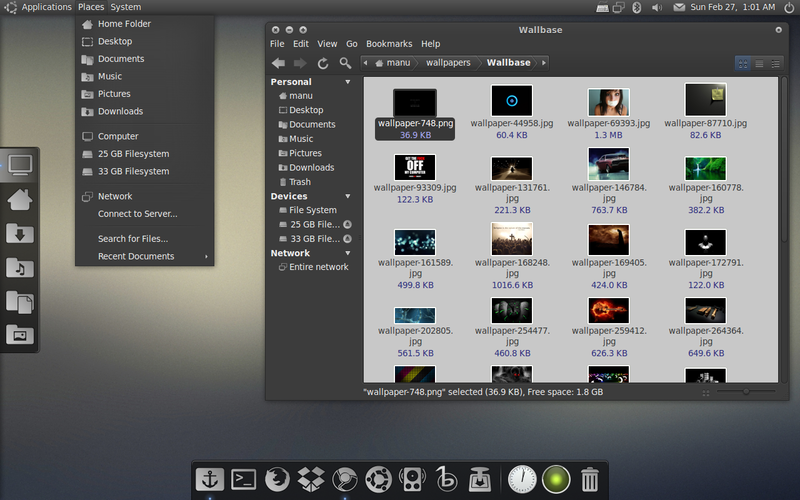 Users of other Linux distros, please visit Atolm GTK theme homepage. How to Install Clarity Icon Theme in Ubuntu Maverick from PPA? Clarity icon theme also has a dedicated PPA for Ubuntu to make installation of this beautiful icon theme easier. Simply copy-paste the following lines into Terminal. Done. Clarity icon theme is installed and ready to go. 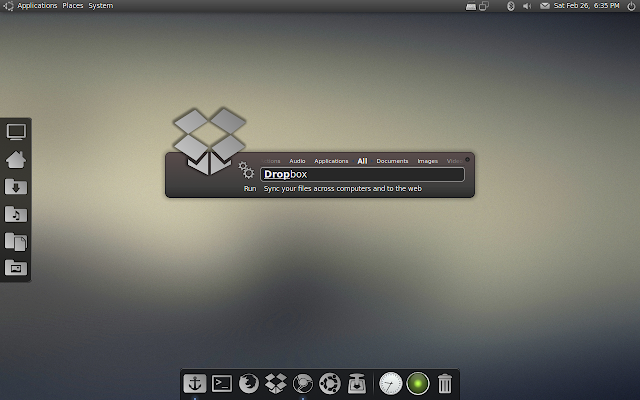 If you are using any other Linux distro, please visit Clarity icon theme homepage. Here is my desktop. The launcher featured in the above screenshot is Synapse. Now if you want to further browse through our favorite themes, the article you should not miss is the one featuring this collection of most popular GNOME GTK themes for Ubuntu. That's all for now people, thanks for reading Tech Drive-in and have a great weekend.